Kochi has become a favored destination for people looking to invest in property. The reason is that it has now evolved into a commercial and technical hub and offers multiple opportunities for both businessmen and job seekers. The improved standard of living in Kochi is because a number of IT and non IT companies have set up shop here, and more and more professionals and businessmen are making Kochi their home. In Kochi, the area of Panampilly Nagar is now one of the most attractive destinations for people choosing to buy residential property. The biggest draw of this locality is its convenient location. It is situated just a kilometer from the center of the city, making all amenities within easy range. 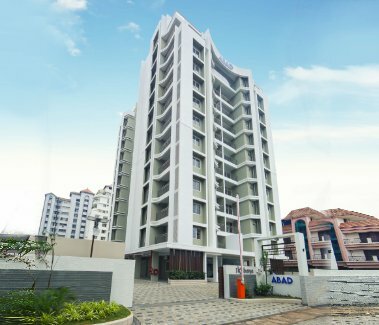 From its inception in the 1970s, Panampilly Nagar has now grown into one of the most prestigious residential colonies in Kochi. 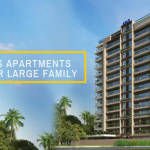 There are a number of reputed builders who have come forward to choose Panampilly Nagar as the location for their apartment complexes, and buyers looking for Flats in Kochi are happily choosing their dream homes here. Abad Cloud Nine and Abad Ikebana are just two examples of these projects. There is dedicated residents association here, who make herculean efforts to maintain the greenery in this area. There are several shopping complexes, lifestyle stores, restaurants, banks, schools and colleges here. It is no wonder that Panampilly Nagar is also the hub of commercial activity, because of the high spending capacity of the residents in this area. Some of the older Villas in Ernakulam are also getting converted to commercial establishments here. 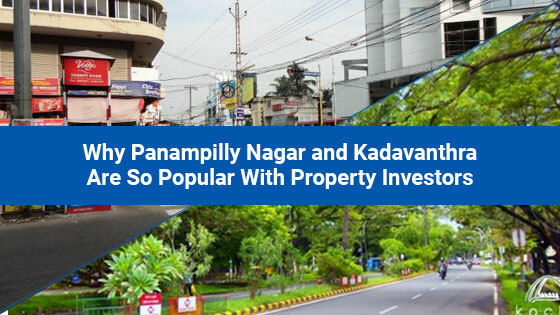 Another area in the vicinity of Panampilly Nagar that has caught the attention of real estate investors is Kadavanthra. This is a part of Kochi’s central business district, and it also houses the headquarters of the Greater Cochin Development Authority. Kadavanthra is buzzing with upcoming commercial activity on one hand, and posh residential areas on the other. Banks, schools, railway station and airport are all within close proximity of this area. These two areas are also home to several cine stars, making them very posh and prestigious. 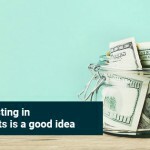 With an investment in either of these two areas, you just can’t go wrong, and will see your investment appreciate very quickly.